The seventh series of the baking bonanza kicks off with the theme we all go potty over – cakes. With one or two soggy bottoms guaranteed, we’ve got all the tips, fool-recipes and guides you could ever need to ensure your homemade creations stand up to Paul and Mary’s expectations. Donning their aprons and arming themselves with wooden spoons for the very first time, the twelve Bake Off hopefuls will be entering the tent chock full of nerves, ideas and dreams of getting the coveted Star Baker award. To kick things off they’ll be asked to whip up a drizzle cake, make their own batch of Jaffa Cakes from scratch and impress the steely gaze of Paul and Mary with a showstopper of epic proportions. It’s a baptism of fire that’s sure to set aflame the aspirations of one or two contestants, but we’re hoping to see one or two feats of baking brilliance from those who can hold their nerve. Most home cooks have given a simple chocolate cake or Victoria sponge a go before, but if you’re looking to bake something truly impressive then a little more is needed. We’ve got recipes for layer cakes, carrot cakes, loaf cakes, chocolate cakes and even gluten-free cakes – so if you’re after some inspiration on what to make at home, look no further. Drizzle cakes (lemon or otherwise) sound like a relatively easy thing to put together; bake a sponge, drizzle something over it and serve. However, we all know it’s not that easy, and in the Bake Off tent Mary and Paul will be after much more than the standard village fete variety. 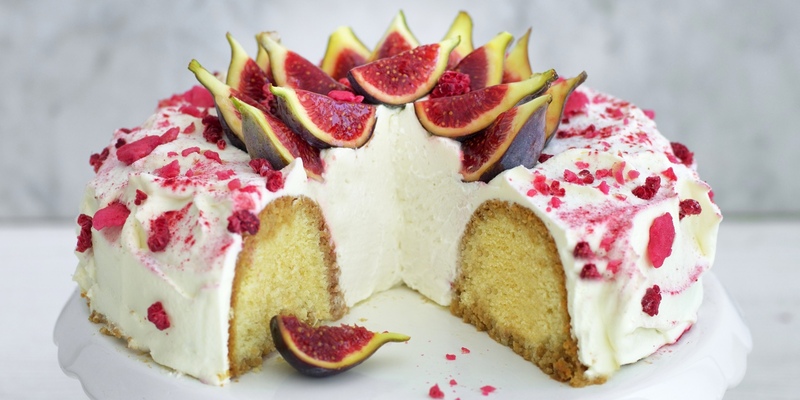 Whether the base is made in a bundt tin, the sponge is flavoured with citrus or the drizzle itself ventures towards the exotic, there are a few tips the bakers should be keeping in mind whilst in the tent. The sponge needs to be just the right temperature when the drizzle’s applied – too hot and it will just run right off the cake, too cold and it won’t absorb the flavour. It’s also vital to pierce plenty of holes in the sponge to allow the syrup to permeate the interior, but how many, how big and how spaced out the holes should be is down to personal preference. Creating a Jaffa Cake involves lots of different skills including making jelly, baking a sponge and working with chocolate. All three elements have to be perfect, otherwise the combination of the soft sponge, the sweet jelly and the crack of the chocolate as you bite into it will miss the mark completely. Knowing how to temper chocolate instantly transforms cakes, as you can give them a smooth, shiny finish.